Family-friendly but not floppy tunes for kids of any age. Mostly original but several classic songs about animals, food, love, loss, dentists & much more, supported by an amazing group of musicians. Half of all CD sales benefit the Mendocino Coast Children’s Fund (mccf.info). Wrapped in humor and love, celebrating innocence, the loss of innocence & its reclaiming. Timeless yet very timely original songs wrapped in a lyrical but never sentimental blend of eclectic folk fusion by excellent musicians who happen to be friends. 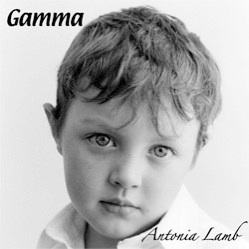 Gamma is CD number three and was released in mid-2006. Moving further into eclectic folk fusion, Antonia plays some piano as well as banjo & guitar. She’s supported by Lenny Laks, John Chamberlin, Meridian Green, Tommy Gratton, Deb Dawson, Lily Parsons and Roberto Gloria. 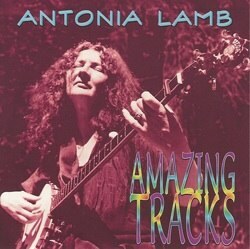 Amazing Tracks is Antonia’s second recording and was released in 1996. 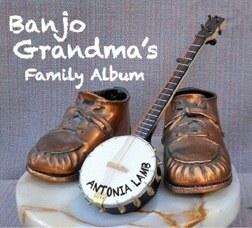 Simply yet lushly produced, bursting with insightful songs, Antonia’s voice, banjo & guitar are backed up by Meridian Green, Gene Parsons, Melinda Leung, Judy Mayhan, Jim Lamb, Bonnie Blackwell & Louie Callas. 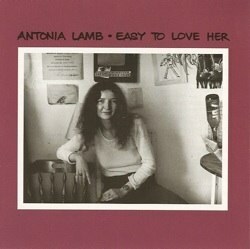 Easy to Love Her Antonia’s 1978 album was originally a vinyl LP and was recently re-released on CD. Supporting players include John Chamberlin, Judy Mayhan, Louie Callas, Roy Michaels, Bob Smith & Lenny Laks. The album is featured in the permanent collection of the Mendocino County Museum. For more information, click on the CD cover above. Antonia’s sixth CD — her fourth in six years — introduces an all-new batch of original material. 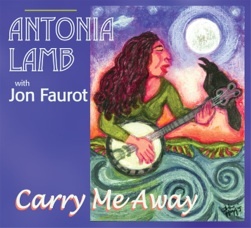 With the musical wizardry of the inimitable Jon Faurot on an array of instruments, as well as background vocals, this recording features some of Antonia’s juiciest music yet.